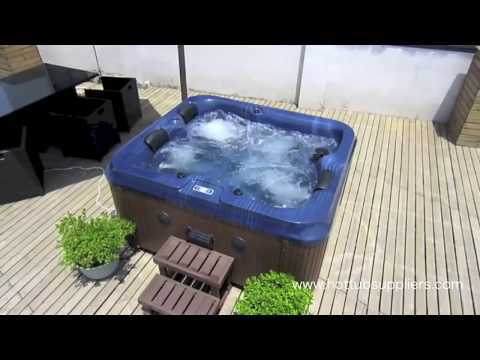 The Zeus Deluxe is a dynamic versatile hot tub that offers space & comfort within its 195cm x 170cm rectangular frame. Just like all Zspas models, the Zeus Deluxe is embraced with a multiple layered acrylic shell under which a high density insulated foam cradled by a strong stainless steel frame for extra protection & structure. The hydrotherapy is delivered courtesy of 17 Award Winning hydrotherapy jets fuelled by a 1 x 3HP massage pump. Zeus Deluxe has a staggering ratio of jets per HP of 5.6 one of the lowest ratios in the Zspas range. The hot tub is reliably & efficiently organised by a spa system & 2KW(13amp) / 3KW(32amp) heater that is designed by the world most respected Balboa Water Group. Extra features of the Zeus Deluxe consist of water pressure adjustment, filtration system plus LED surround lights enhancing the customers' experience & Bluetooth audio for the perfect mood enhancement. With 1100 litres water capacity, the Zeus Deluxe has plenty of room for movement within the 2 seats and 1 lounger design. The water pressure to each seating area can be adjusted using the 3 x Air Control Valves which lies within easy reach to give the user complete control of the spa. Further efficiency of water quality & energy is provided via the pure water ozone system & insulated ABS base. The cabinets on the Zeus Deluxe also have the benefit of enhanced insulation plus are easy to remove. Service time is also aided by the advanced drainage system for simple addition & removal of water. To complete the Zeus Deluxe, complimentary steps and spa cover are included with the list price plus free delivery placement. Comfortable, deep & spacious, each seat & lounger on the Zeus Deluxe hot tub is structured to create the complete spa experience. Contoured lines merge both body & surface together with the added depth that Zeus Deluxe offers - the highest quality of relaxation is acheived. The acrylic shell comes with a 3-year warranty. The Zeus Deluxe is controlled via a Balboa top panel, heater & internal control board. 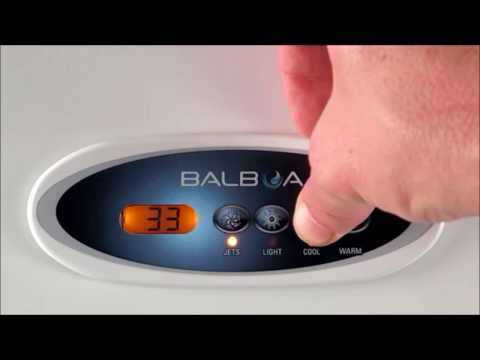 Easy to use & efficient, the control system also features programmable filtration plus economy modes to maintain complete control of the hot tub & keep running costs low. The Zeus Deluxe uses a closed cell, high density foam to insulate the base of the shell. spa cover, the Zeus Deluxe has 360 degrees of protection. Our programmable filtration system allows full control of the filtration process with the extra-long filter of the Zeus Deluxe hot tub standing tall to prevent the passage of any unwanted solid particles. The Zeus Deluxe has a wide variety of hydrotherapy jets, specifically designed & positioned to deliver massage & relief. Hot Tub Suppliers are British Gold Award Winners in 2016, 2017 & 2018 of Hot Tub Health Benefits which only illustrates the quality of the jets plus pumps in this hot tub collection. Performance is our obsession from our jets to systems and also includes the Bluetooth audio of the Zeus Deluxe hot tub. LED ambient illumination is a feature on all of the models in the range of Zspa hot tubs. These extras create a relaxing yet sophisticated atmosphere when resting in the hot tub. Odour free, PH neutral & silent, the Pure Water Ozone is a reliable & efficient sanitiser which reduces the need for chemicals in the hot tub, therefore in the long term provide savings.